- 1st floor: two bedrooms, bathroom, wc. Sheets provided from 15 days of rentals. Rental of the cottage from Saturday to Saturday. Possibility for children to rub elbows with 3 docile and sweet donkeys: Pollux, Chataigne and Marron. 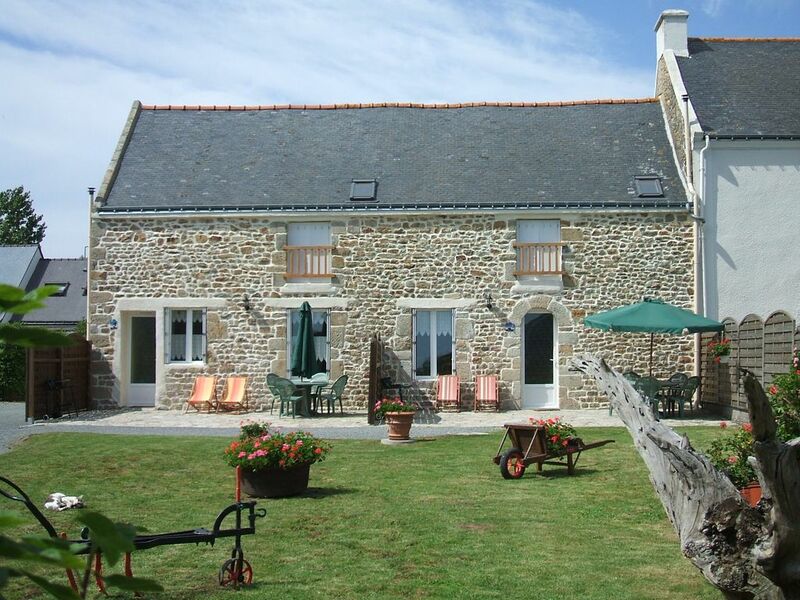 The cottage is situated near the small sea of ​​Gâvres and 5 minutes drive from the shops. 5 kms from the beaches, you can sample the various pleasures of the coast (swimming, angling, walking, shells). Riantec is a seaside town rather rural but located ten minutes from LORIENT by water bus (known for its interceltique festival, its port, the city of Tabarly sailing ..), Port Louis and its museum of company of the Indians, Carnac and its menhirs, Auray and Vannes (towns of characters), Quiberon and its beautiful beaches but also Pont-Scorff with its zoo or islands such as Belle Ile and Groix.